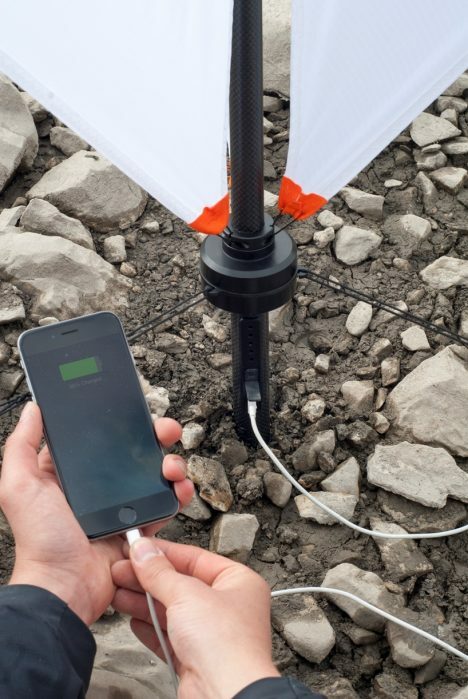 Compact, lightweight and highly portable, this mobile charging unit by Nils Ferber weighs around a pound and can provide power day and night, particularly on windy hills for remote hikers. 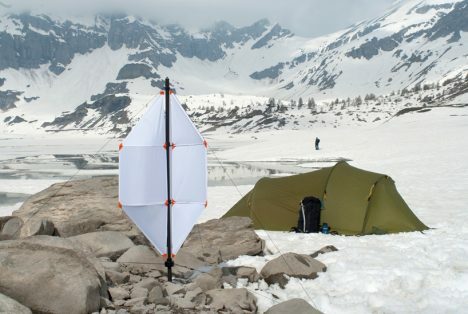 The Swiss designer made the unit fold up into something about the size of a hiking pole (indeed, if he can make it more robust, perhaps it could even double as one! ), after he continued to run out of juice on long treks. For mountaineers, climbers or expedition leaders, the choice makes a lot of sense: solar power depends on access to the sun, which can be intermittent, but wind is often present on high exposed ground. 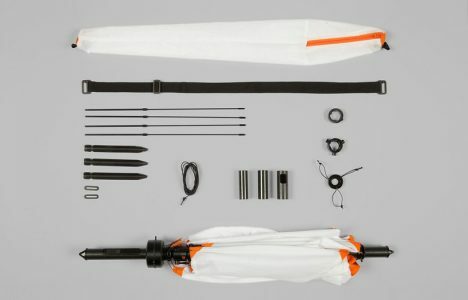 It is designed to be robust, withstanding strong winds and storms, while generating as much power as possible. 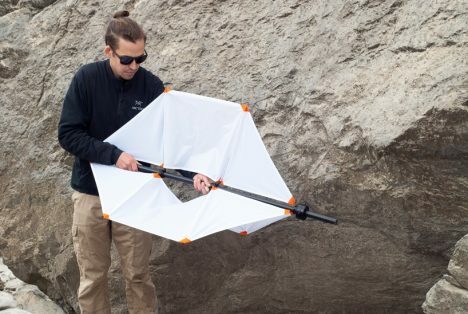 The Micro Wind Turbine is lighter than most of its competitors and can capture a relatively high volume of wind thanks to how far it unfolds. A simple adapter jack lets users plug in smartphones, flashlights, cameras and other devices one might want to keep handy on a long hike.